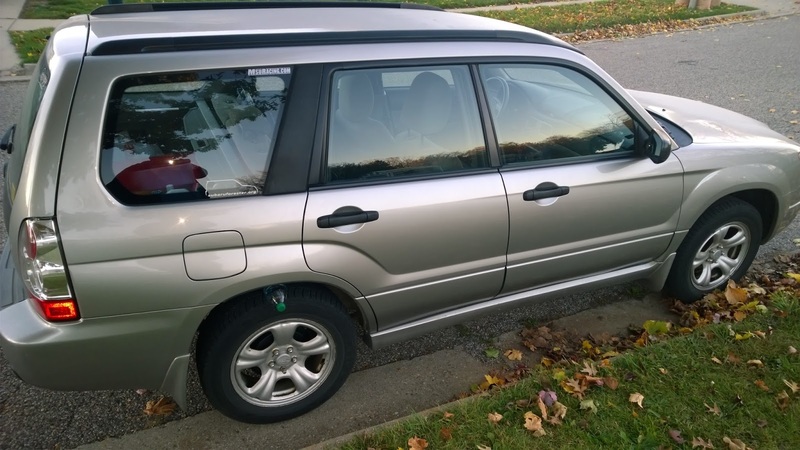 As some of you might know, I own and daily drive a 2006 Subaru Forester 2.5X. And, I'm sure some of you....ok, maybe like 2 of you...want to know how I came to own the car. So, for both of you, here's it's story. But before we get into that, I have to rewind a bit here. 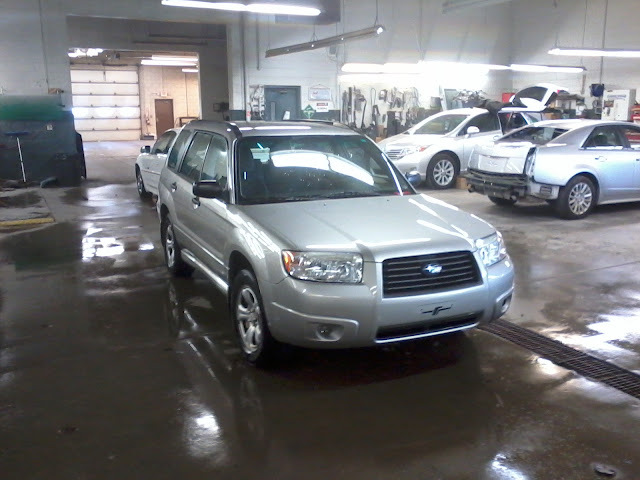 The Forester replaced this, a 1998 Chevrolet Lumina. 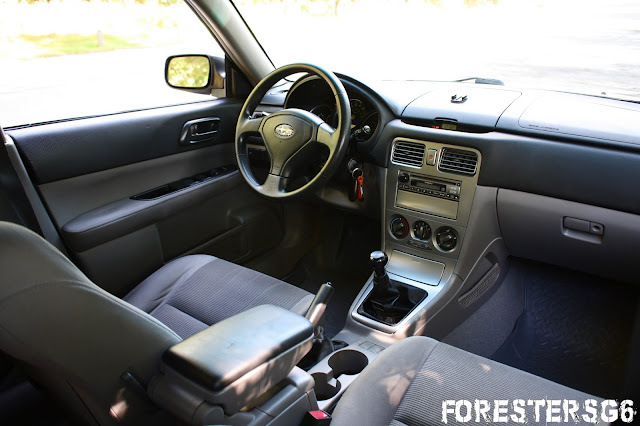 And, as I found out from a carfax search AFTER I bought the car (per recommendation by my uncle), It started life as a rental car, as evident by its bare bones equipment: No ABS, crank windows, AM/FM stereo and blue Velour upholstry. 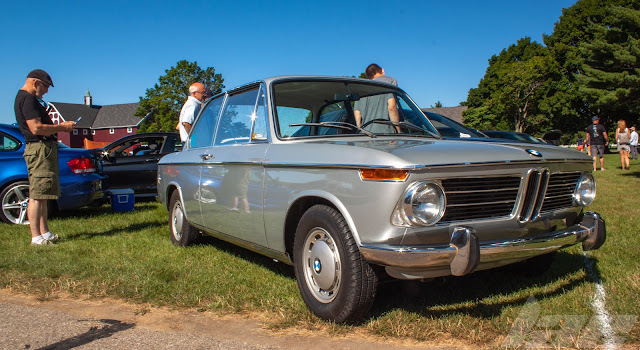 Sadly, the history didn't stop there....it had been wrecked and totaled at some point, when it was purchased and rebuilt before being put into comission as a loaner for another shop. 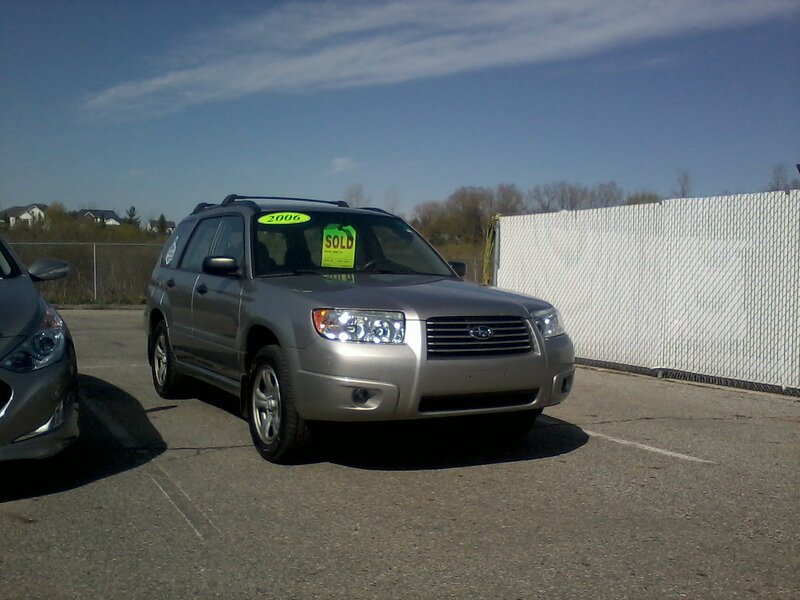 After which it changed hands 2 more times before I got it....But hey, it was a solid car with just over 100,000 miles on it for $2,000. It had a bad case of terminal car cancer, as well as an inability to contain Any fluids. 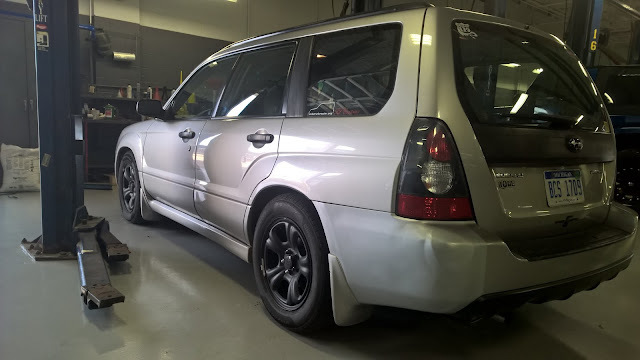 The most recent being caused by a cracked radiator end tank....At that point, the car was pretty much scrap. 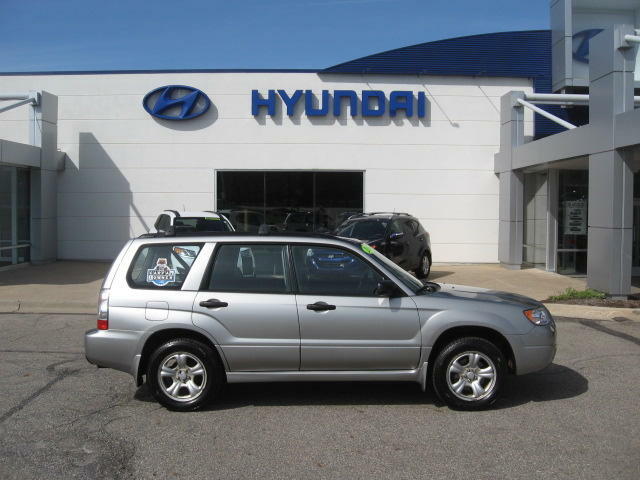 At that time, this car was traded into the dealership I worked at; The now-closed Freeborough Hyundai of Lansing. 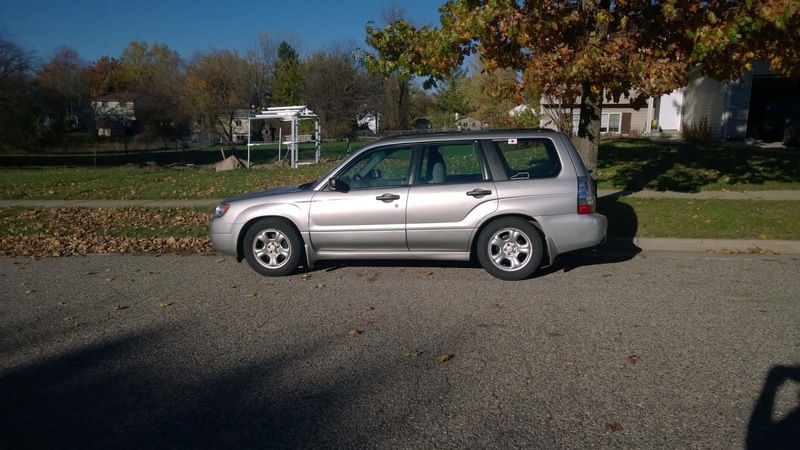 The Carfax report shows that this car, the 2006 Forester, was a 1-owner, well-maintained car with 77,000 miles. 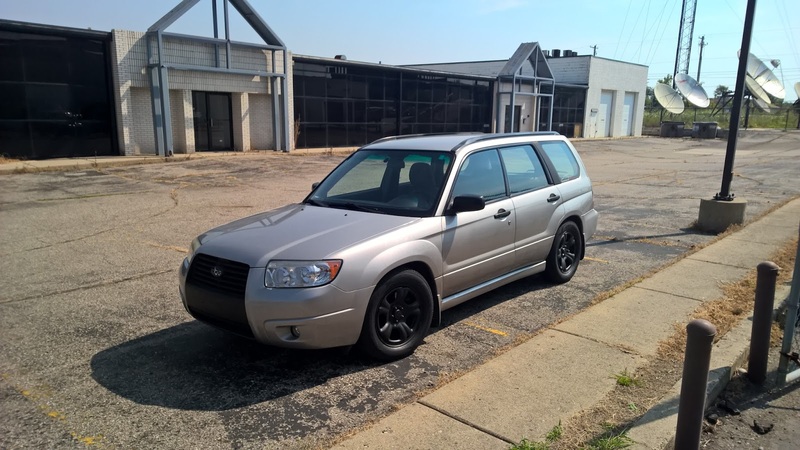 Before this point, I liked Subaru, and wanted to get a WRX or similar. 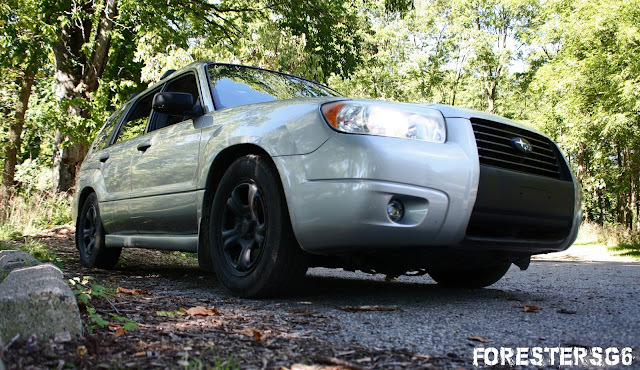 The forester wasn't even on my radar.But after seeing it go through the Used car inspection, seeing the condition, doing some research about the car, and going for a test drive, I was sold. So, Easter weekend of 2012, I traded in the Lumina and brought this awesome car home. 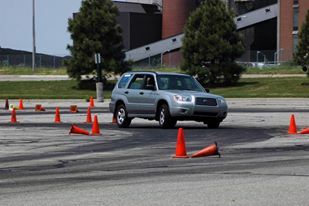 Over that summer, I entered it into 3 autocross events put on by the Western Michigan Region of the SportsCar Club of America. 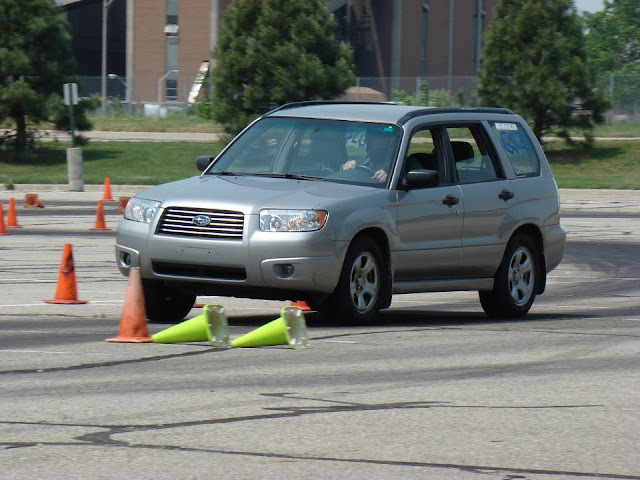 The first event, I hit 6 cones. The second event, I hit 5 cones. The third event, I hit 4, so there was noted progress. 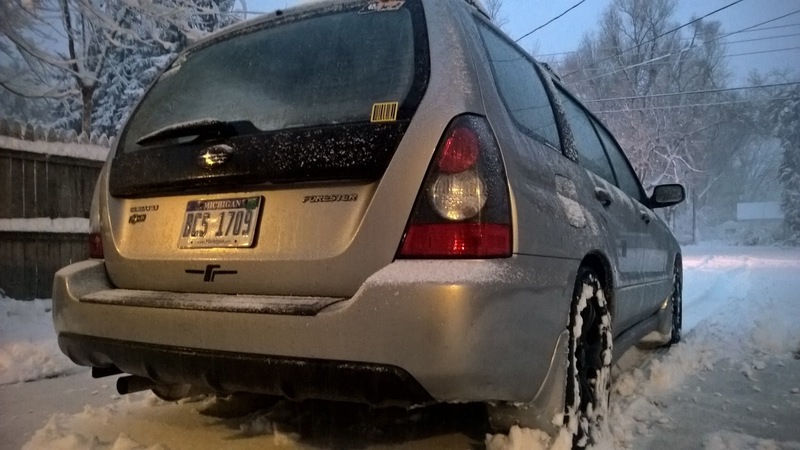 That winter, I discovered how awesome all-wheel drive is in the snow, as well as ground clearance. I had to get the first of a few big-ish repairs done in the summer of 2012. The power steering rack sprung a leak and had to be replaced. 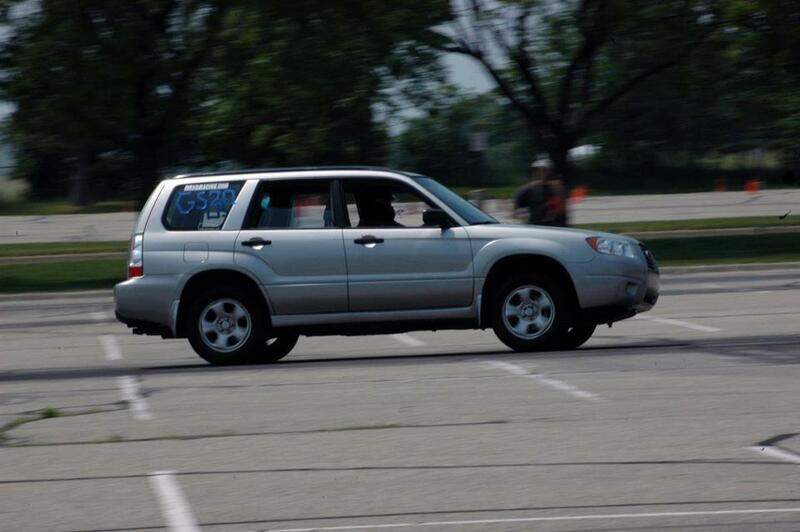 In January of 2013, I had to get the clutch replaced, as I pretty much learned to drive stick in this car. 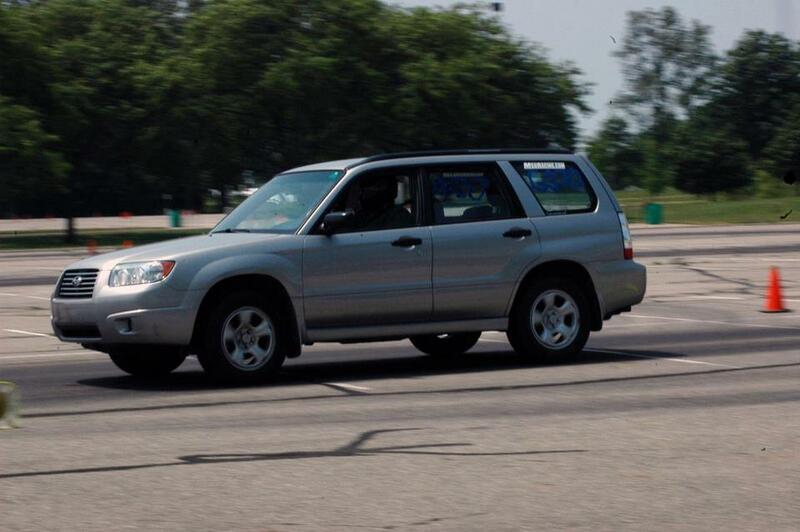 In May of 2013, I had the opportunity to drive down to Atlanta, Georgia to watch Formula Drift at Road Atlanta. On the way, we hit the Tail of the Dragon. It was on this trip that I got my best fuel economy to date: 29mpg. 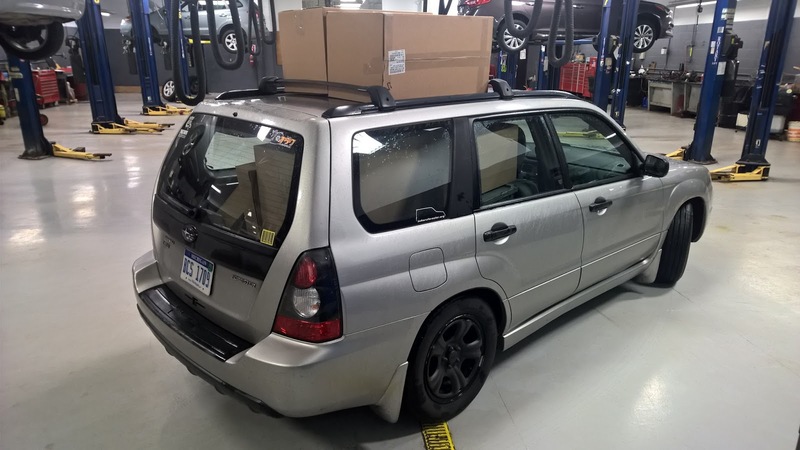 But also turned out to be a rather stressful and expensive trip, which started in detroit, where this happened...I had a slight mishap involving a knee-height paving stone retaining wall. The next bit of trouble came as I pulled into the parking lot of an awesome bbq joint in Atlanta (link below). The car started misfiring badly. 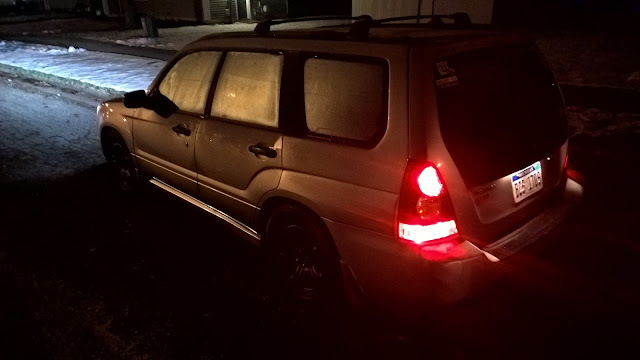 After having it towed to a nearby dealership and waiting until the following monday (I broke down on a Friday night) to hear what happened, I learned it was the valve cover gasket leaking oil into the spark plug tubes, causing a short in the ignition system. The dealership, though (link below) was great. They gave me a 2013 Subaru Outback Limited as a loaner, which we drove to (not in) formula drift, and I used to get around Decatur, GA while my car was in the shop. That tuesday, I picked the car up, packed my things from my hotel room and came back to Michigan. nearly 1,600 miles round trip. 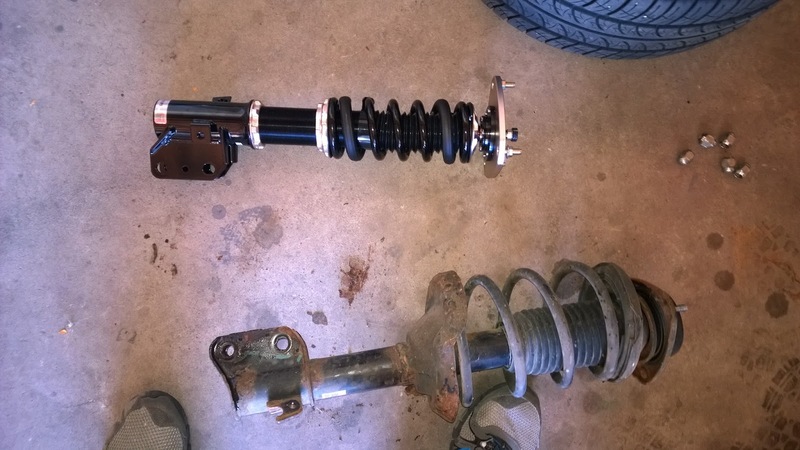 In the fall of 2014, my struts got pretty bad, so I opted for an upgrade rather than replacing struts with struts. 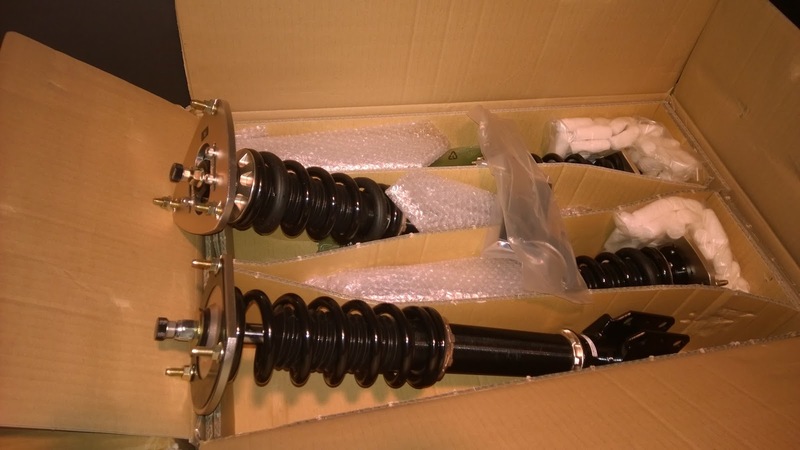 I went with BC racing BR-type coilovers (link below). They were so much smaller and lighter than the factory units. It dropped the car 3 inches and made it handle corners so much better. The day-to-day driving, however, is not the best. I live in Michigan, where the potholes are. 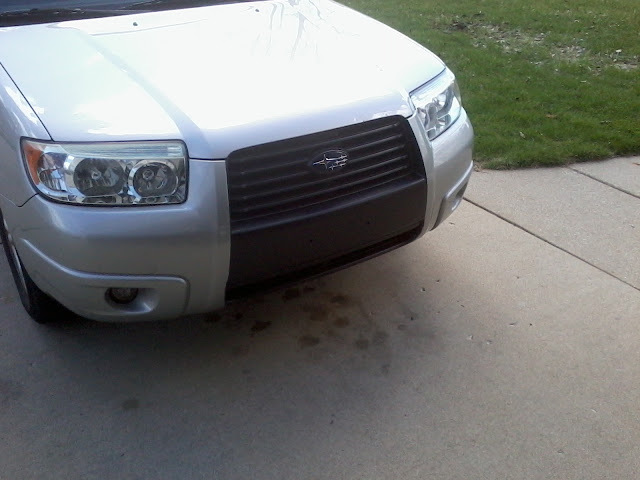 And took some steps to enhance the look of the car. I even had custom straight pipe exhaust put on for a while. 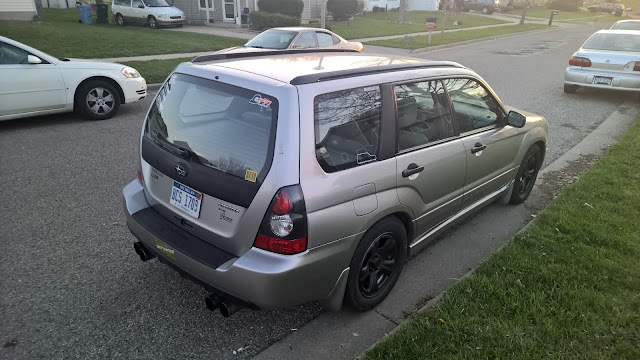 I (my old roommate, Tom) found a used Ebay exhaust from a 2011 WRX for $75, so we snatched that up and hacked it up to fit. While it sounded awesome outside the car, it droned badly inside the car. My favorite part, though....Just look at it. 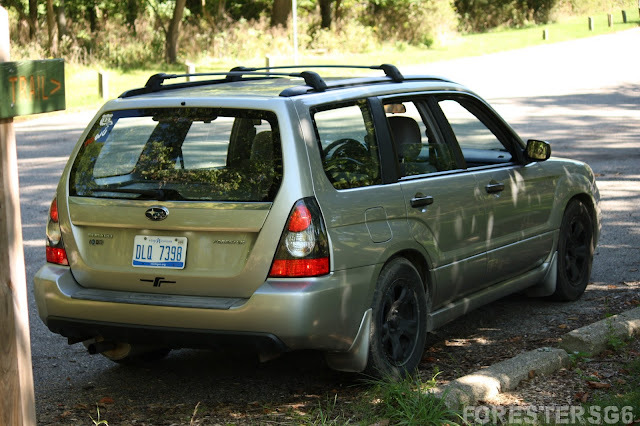 Also, notice the 08 FXT Sport tail-lamps . I found those online as well. 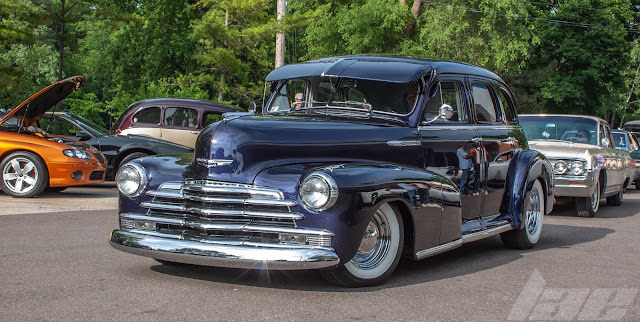 I like them so much more than the older Chrome lamps. Since the coilovers, I've had to get some work done on the car. Some major, some not. 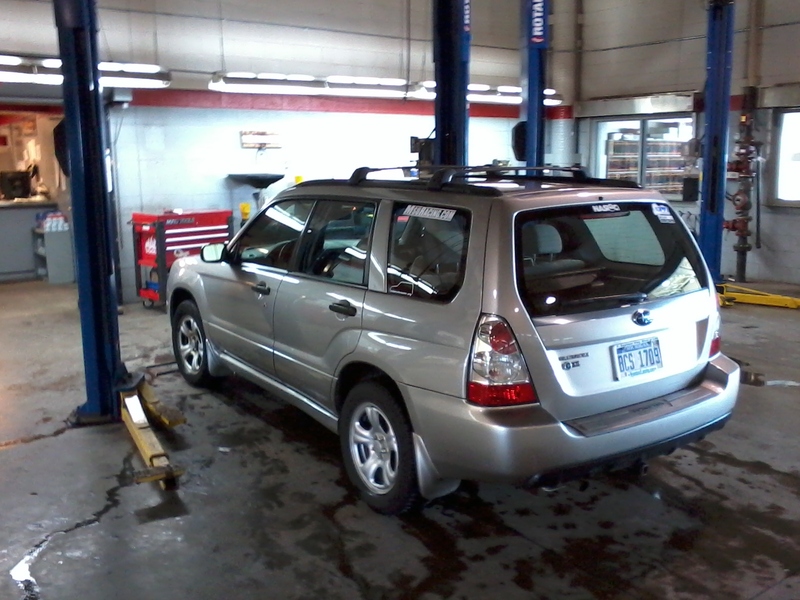 The first being the Timing belt, which I had a mechanic friend of mine do at 105,000 miles, like most subarus. The second was the Head Gaskets, which I had done at Williams Subaru (link below). Or finally paying off the loan on it. All that being said, I love this car. I'd recommend one to anyone. 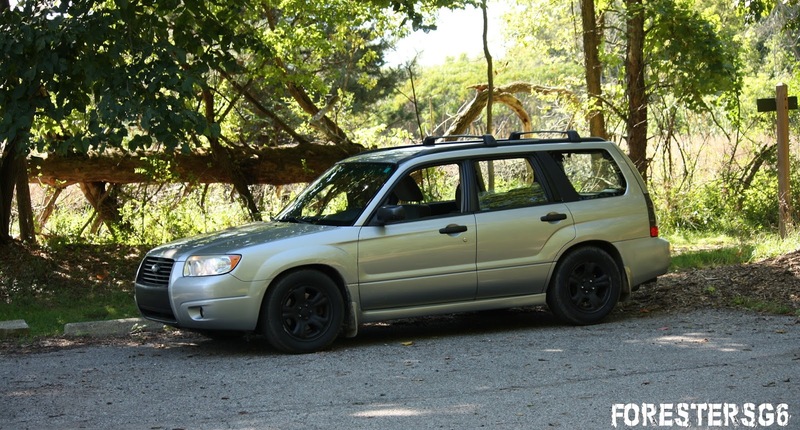 Any year forester, Any trim level, any options package, even the CVT variants. In conclusion, this isn't the fastest car, with only 173hp. This isn't the coolest car, either. And the average owner might be a middle-aged Lesbian couple in Portland...but I love my forester. And I'm SUPER excited to see how long I can keep it going. 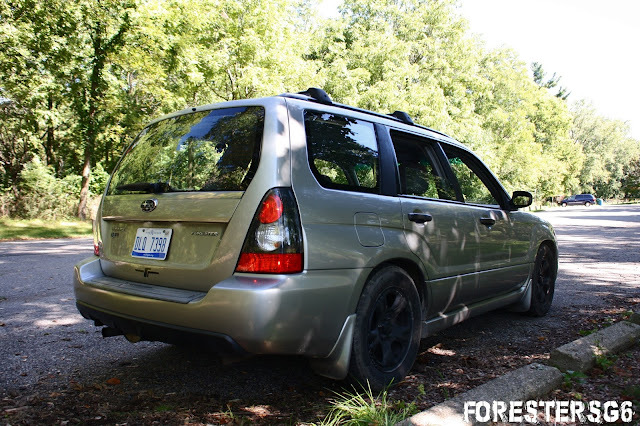 ...Oh, and I'm also excited because Subaru season is almost here!!! BRING ON THE SNOW!!!!!! Thanks for reading, and check back for more! !